Walking is the most holistic form of exercise: it is both meditative and active, while also allowing you to be in touch with nature and yourself. Here are 10 health benefits of walking, in case you needed some encouragement to start walking today. Let’s cut to the chase: most of us want to lose weight. No matter what your age or size, at one point we all need to shed a few pounds, particularly after the winter months when we tend to be more sedentary. If you start going for daily walks during spring, by the summer you should be able to lose a few kilos, but you really need to make the commitment of walking every single day. If it’s more convenient you can break down your walk into several walks during the day. Aim for a total of an hour: you can, for example, go on four 15 minute walks throughout the day. Worried about some fat around your waistline? Abdominal fat is linked to degenerative heart disease and diabetes, so ensuring you burn fat around your organs is important. To get the most from your walking regime, make a conscious decision to tighten your abdominal muscles as you walk. Not only this will help to strengthen your core, but it will also give you a better posture while giving your internal organs a healthy massage, which can help digestion. Make sure you get the right shoes: click here. Studies (for example Age Ageing 1997) found that brisk walking can help prevent osteoporosis after the menopause in a sample of 165 women. Walking is one of the best forms of exercise for osteoporosis because it can improve bone density while being low impact, therefore not putting extra pressure on joints. The NHS lists types of exercise and lifestyle changes including diet for osteoporosis prevention; when it comes to walking, the emphasis is on brisk walking. A leisurely walk at a slow pace will not have the same beneficial effect as a walk where you feel slightly out of breath. A study highlighted that walking reduced the risk of cardiovascular disease in a sample of 1645 adults aged over 65. The best results in the sample were from people who walked more than four hours a week. 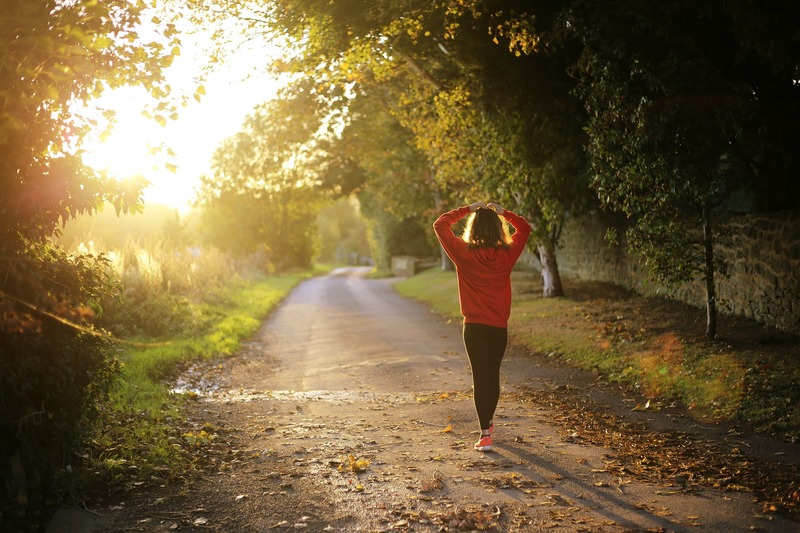 Not only the people who walked more than four hours a week reported a lower risk of cardiovascular disease, but they also improved their overall health, thus reducing their risk of death. Sometimes all it takes when you feel stuck is a change of scenery. Maybe you hit the infamous writer’s block, or maybe you are looking for a solution to a problem. 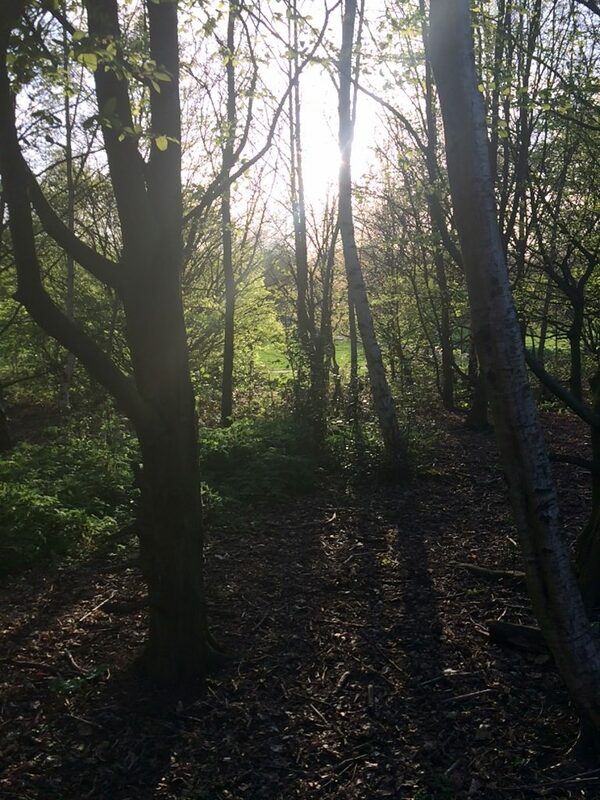 An energising walk in a local green space can do wonders to start afresh and step away from whatever you are worrying about. While the answer to a question may not magically materialise during or after a walk, the process of taking yourself out of a situation gives your brain the space it needs to recharge. Just like when we open too many apps on our phone or too many browser windows on our computer, we risk overloading our brain with information and then it’s time to reboot. A clean slate is a good position to be in, because you don’t feel burdened by old information. When you go for a walk you get the opportunity to gain a sense of perspective (and, let’s face it, a bit of space away from annoying colleagues at work!). See more about how walking can increase creativity in the related article on walking meetings. How many chances do you get normally to be in nature in your day to day life? Our routines normally involve travelling to work either by car or by public transport, then spend the majority of the day in an office, followed by a commute back home. We are probably so used to confined indoor spaces that we don’t even crave some fresh air. However, if you start a new habit of going to a local park at lunchtime you might find that you will feel re-energised. The New York Times wrote that, according to studies, walking in nature has a positive effect on the brain: city dwellers have a higher risk of suffering from mental health issues like anxiety, stress and depression. However, a regular walk in a green space has the potential to make you feel happier, more positive and more attentive. Of course, if you have chronic anxiety it is recommended you speak to a medical professional – you can also try online therapy. Health.com reported that listening to natural sounds during a walk have a therapeutic effect as it helps to lower stress levels. So, if you are in a bad mood or are ruminating about everything that is wrong in the world, why not take a break and go for a walk? Related to the previous two points is improved mental clarity. Harvard shared findings about walking and its effects on the brain. Exercise in general (as long as it’s aerobic, ie, it gets your blood pumping) can improve the function of the hippocampus, the region in our brain that is responsible for memory and learning. Sometimes we need to take some time out to plan ahead, strategise, have some distance from the detail and the nitty-gritty of our routine. If we get interrupted either at work or at home, we never get a chance to do some actual planning. Walking alone for 30-60 minutes a day gives you the downtime required to see where your life is heading, what you need to do to achieve your goals, refocus on what is important. Never underestimate the meditative quality of walking: we are so used to being constantly busy that we may even feel guilty to take time to think, meditate, take stock of what is going on in our lives. No time to meditate? Go for a walk. Best Health Magazine mentions that mindful walking has similar effects to meditation, with the added benefits from movement. Mindful walking allows the brain to let go of stress and focus simply on the act of walking instead of being distracted by worrying thoughts. You can choose to repeat a mantra, or a word (for example, relax) and synch your inner dialogue with your steps and your breathing. Alternatively, you can focus on your breathing and take two steps with your in breath and two steps on your out breath. Lengthening your breathing will help you to calm down and feel less stressed. Too scared to go to the gym and the thought of getting changed into your workout clothes? You can wear as many layers as you like and no one will ever see what’s underneath if you choose walking as your main form of exercise. Over time, as your muscles start toning up and you start feeling good about yourself, you might notice a difference in the way you see your body. Don’t expect an overnight miracle, but possibly after eight weeks of regular walking your focus might shift away from what’s wrong with you, your body and your lack of confidence. Foraging is a very useful side effect of walking: while you are out and about, you may spot some wild plants that are safe to eat and that you can use in your cooking. Who doesn’t like free food? Foraging means gathering edible plants so to do that you need to first learn from an experienced guide with a solid background in botany and then you can venture out when you have enough knowledge to distinguish between safe and poisonous plants. If this seems too risky for you, you can always join guided foraging tours which normally conclude with a foraging feast, so all participants get to enjoy the food they gathered together. Wild plants have more nutrients than what you buy in supermarket, therefore you get more minerals and vitamins in your diet. If foraging sounds it’s the right walking activity for you, you can read more about it in the book The Foraging Home Cook. No time to see friends? Fancy doing something that doesn’t involve food and drink or sitting down for hours? Walking with a friend is a great way to socialise, catch up and do exercise all at the same time. You can also walk in a group and hop from one conversation to another. Talking of conversations, if you walk side by side with a close friend you are likely to have more in depth, meaningful conversation because you are not making eye contact. This in itself takes away some of the awkwardness of social interaction and is a technique normally used in therapy. There is even a branch of counselling called walk and talk therapy, where the client has a session with the practitioner while walking side by side. This helps to lower inhibitions and can be less daunting than being in a therapy room. There is also the psychological positive effect of physically moving forward while walking, which can increase confidence. Finally, celebrate your love for walking on National Walking Day (http://www.nationaldaycalendar.com/national-walking-day-first-wednesday-in-april/), which runs on the first Wednesday in April and is an initiative from the American Heart Association to remind people of the benefits of having a walk, and National Walking Month (https://www.awarenessdays.co.uk/awareness-days-calendar/national-walking-month-2017/), a UK campaign to promote the benefits of walking during the month of May. If you’d like to learn more about walking, particularly with regards to its weight loss and mental health benefits, you can read Strictly Walk Slimmer. This book includes interviews with experts in fields like dynamic relaxation (Sophrology) and nutritional therapy.